Installing Muft WiFi Management Software on Your Own Router! 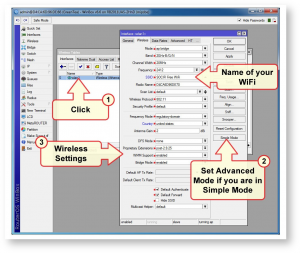 With this guide you can learn how to configure your own router to use Muft WiFi Management software. Please note that our software is in beta mode and we aren’t quite ready to offer technical support for free plan users. We are continuously working on ways to improve this platform. In future, we plan to add a lot more free and premium features. 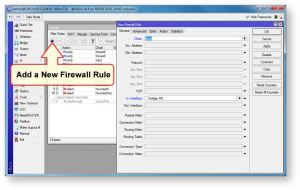 Muft WiFi Management Software is compatible with most Mikrotik OS Routers & dd-wrt compatible routers. 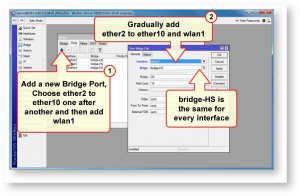 Configure your own router using the guide below. In the following sections we discuss specific installation procedures for 1. DD-WRT and then 2. Microtik. STEP 1: IS MY ROUTER DD-WRT COMPATIBLE? Note: For DD-WRT, we support any firmware version dated from July 2014-February’16. After you have connected your router to your PC it’s time to access your device. 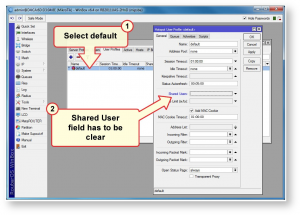 Most manufactures have their own interface. Note: Above credentials may differ if you (or your ISP) must have made changes before. Note: Firmware newer than February 23rd 2016 are not compatible with Muft WiFi Management system. The first one is needed to rewrite the original router (for e.g. 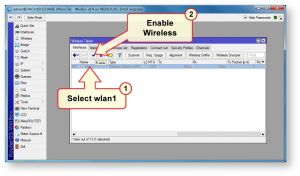 TP-LINK) firmware to DD-WRT firmware. The second one serves to upgrade your current dd-wrt firmware. Click on “System Tools” button (some interface’s may have a different button name) on the left, then select “Firmware Upgrade”. 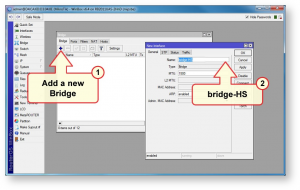 Navigate to the “factory-to-ddwrt.bin” file (some interface’s may have a different file name) and select it. Now click on “Upgrade”. Be patient, this takes several minutes. 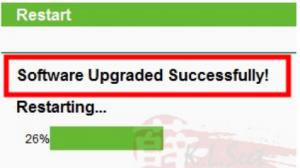 You should get a “Software Upgraded Successfully” message. 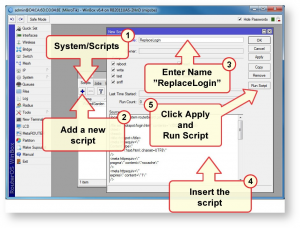 Create a new username and password. Go to the “Administration” tab. (You’ll have to enter your new user name and password here). Then go to “Firmware Upgrade”. 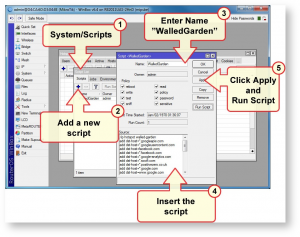 Click on “Choose file” and navigate to the “<device_type_fw_version>-webflash.bin” file and click on “Upgrade”. Allow a few minutes once again. The router will re-boot and you’ll be at the Basic Setup screen. Go to “Setup” tab. Then go to “NetWorking” tab, copy the MAC address in one text file. Go to the “Administration” tab. Then go to “Commands” tab, Copy following command to the given text area. Click on “Save Startup”. Now, Connect your router to the Internet & ON-OFF the router. 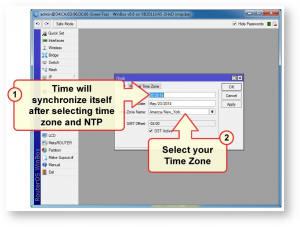 Allow a few minutes to auto configure the router. All Done! Move to step 5. 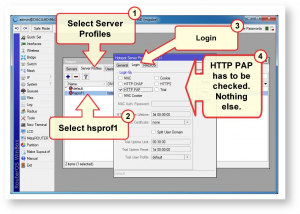 STEP 5: CONFIGURE YOUR MUFT WIFI MANGEMENT SOFTWARE ACCOUNT ONLINE! 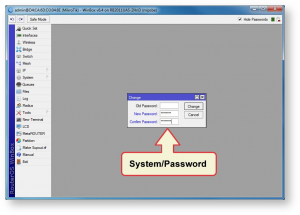 Now, sign in at http://admin.muftwifi.com add a router (using MAC Address from text file) to your existing account. Happy WiFi! Please note: Images are for reference purposes only. The field values are given seperately. 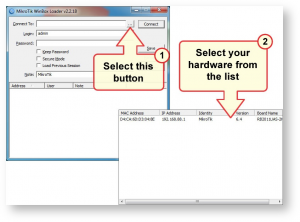 If you don’t have technical knowledge about Mikrotik, we’d suggest you to skip the optional steps. Launch WinBox app. After selecting “…” button, wait for a while to get the MAC Addresses list. Select requested address (not IP if you are in a different net). Don’t type any passwords. 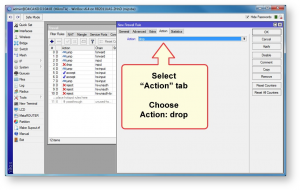 Confirm the action by pressing Connect button. 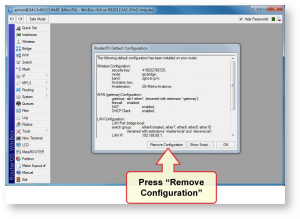 This option appears only in default configuration. 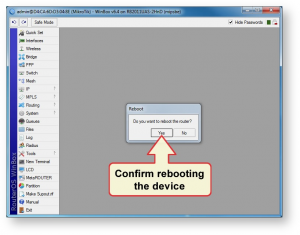 Restart routerboard: System > Reboot. After rebooting connect with Winbox again. 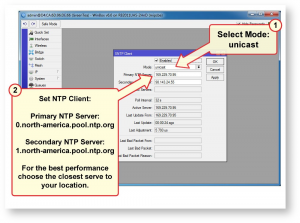 This is optional setup for MikroTik AP providing the internet access. 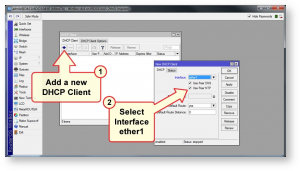 In case MikroTik serves as a router for other APs skip this step. Click on ‘Advanced Mode’ to see all available options (e.g. Country). 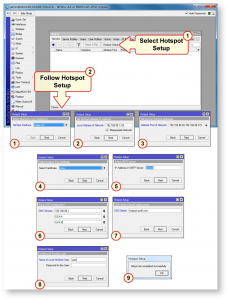 Step 9: Running the Muft WiFi Hotspot. 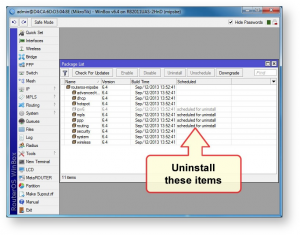 Step 10: Removing shared users. 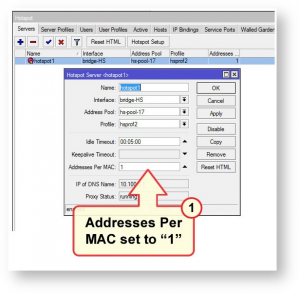 Step 11: Set addresses per mac & change method of authentication. Step 12: Define a list of allowed servers. 5. Click on “Apply” and then run the script. Change the default password to something a little more complex. 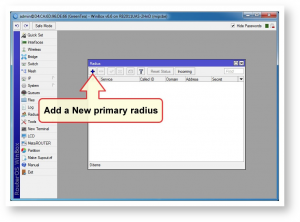 Step 15: Configuring the RADIUS Server. 15B: Add a secondary RADIUS server 2. 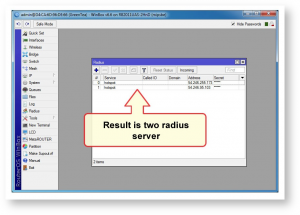 The final result will be 2 Radius servers as shown in the image above. Sign up and make your account. Don’t forget to ‘Add’ the configured router to your account via “Mac Address”. Note: Please make sure the mac address registered in the account you make is correct. Once you add the router to our website, your device will be live. For any issues, contact us @ +91 80802 40000.